From 12th May to 20th June 2012 we have returned to Saltergate a number of times to take photographs of the on going demolition of Chesterfield’s former home. 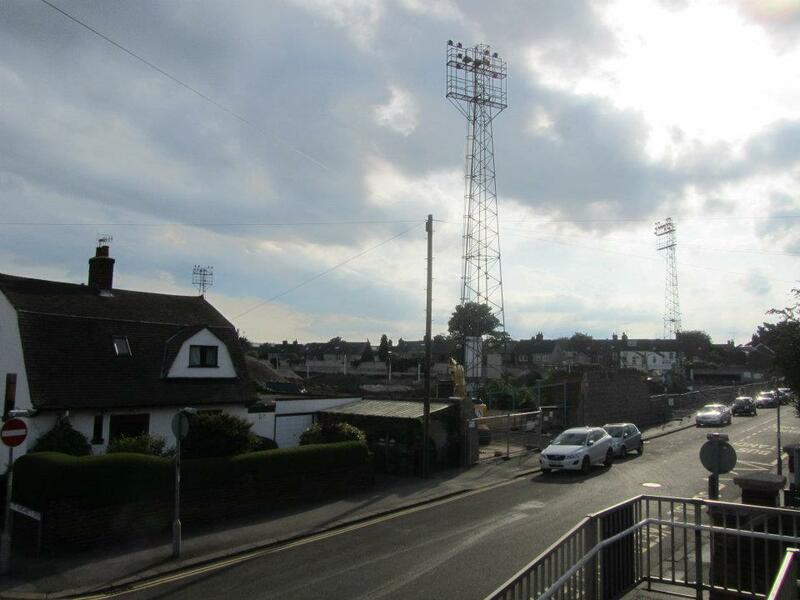 The Spireites played at Saltergate for 139 years before leaving in 2010 and sadly now the ground is almost gone forever. You can see more photos below. 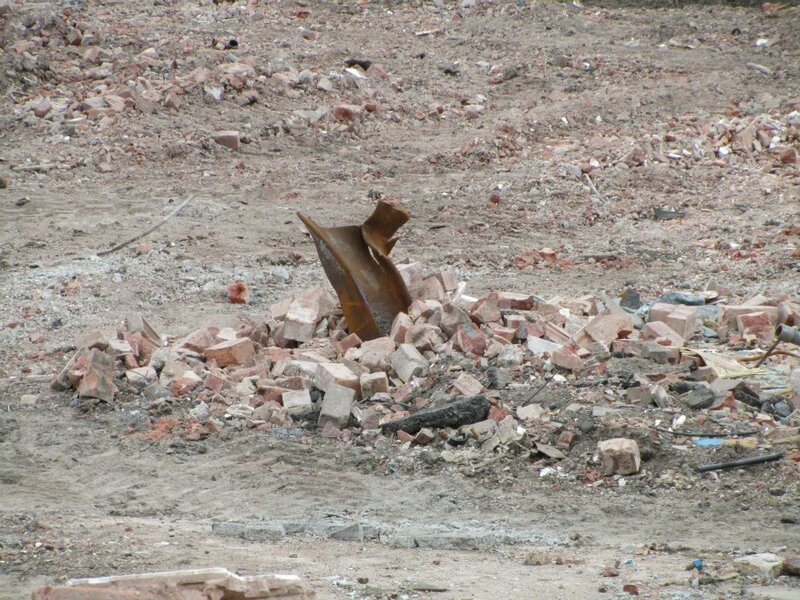 I have done previous reports on the demolition of Saltergate. To see these, click the links. The Compton Street Stand. The TV gantry has now gone. The day after this photograph was taken, the final piece of the stand was knocked down. A sign advertising Chesterfield FC Saltergate Ground Tours! Looking through one floodlight towards another!